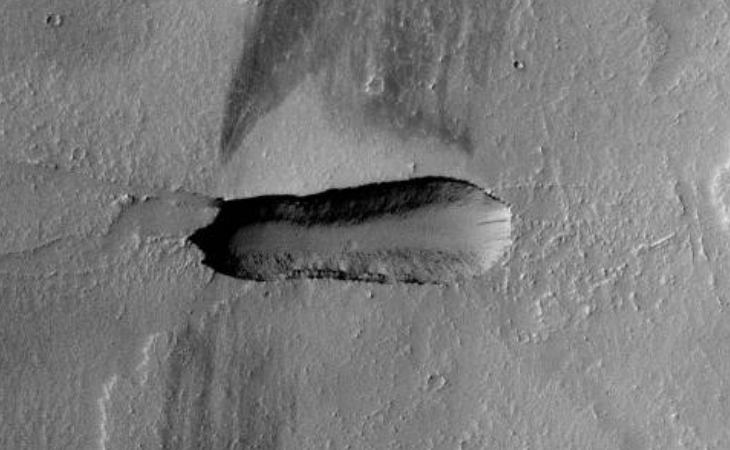 Artificial trench found in deep desert region on Mars? Some anomaly hunters are of the opinion that this oblong anomaly is an object on top of the surface of Mars whereas others are of the opinion that this is a ditch, I tend to agree with the later group. The sunlit areas of the surrounding craters and the trench are located to the right whereas the shaded areas are located to the left (this is also so for the small crater inside the trench). The trench measures 2.2 km long with an average width of 600 m. The deepest point is in the shaded area and the entrance to the trench in the sunlit area. 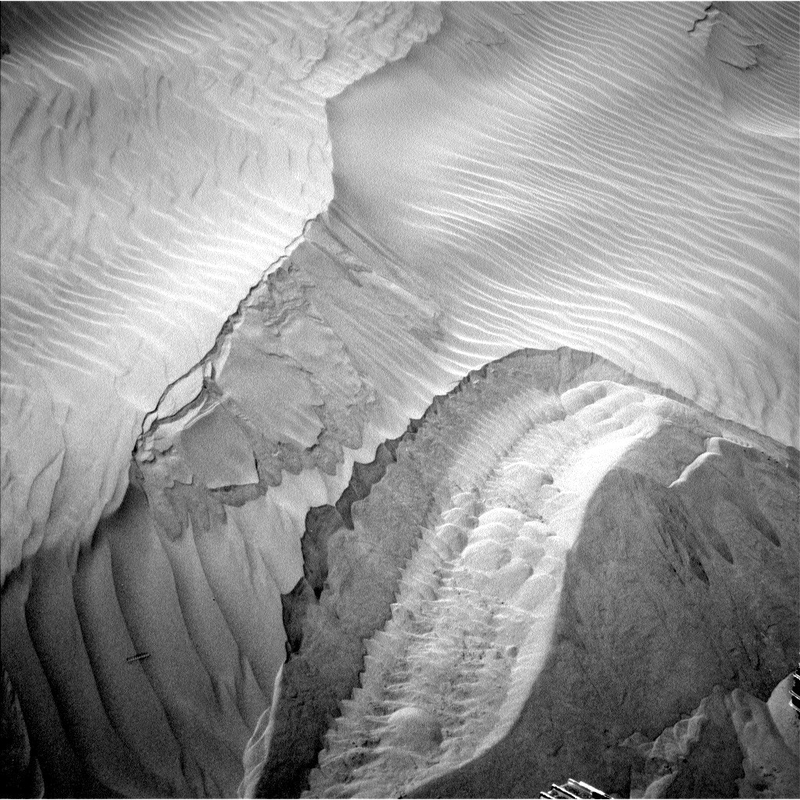 The edges of the trench are well defined and appear to be perpendicular to the Martian surface. The sand next to the walls at the bottom of the trench probably gathered there due to the walls eroding over time. Excavated sand seems to be spread out next to the trench to the North. I consider this trench to be artificial in nature due to the fact that it has a geometric shape, has symmetry and the edges and walls are well defined. The only way to see the object clearly is by using the NASA image viewer located to the left of the web page. Click the “Toggle full page” icon followed by the “Zoom in” icon. Click on “Zoom in” until the maximum image size is displayed. I tried downloading the higher resolution .TIFF image however it does not open once downloaded, perhaps the PDS files will work. I followed the process described above, combining several screenshots into a large, complete image which you can download here (file size: 8.7 Mbytes). I tried downloading the original PNG, GIF, JPEG, TIFF and PDF files; however the resolution of each is too low to see the object clearly. Whistleblower Corey Goode has testified that we have dug artificial trenches to hide underground bases on other planets using a technique similar to that used in Project Iceworm (machines being adapted to handle sand in this case). Is this perhaps an artificial trench made by Secret Space Program engineers for the purpose of hiding a base there in the future, perhaps the plan was abandoned a long time ago? 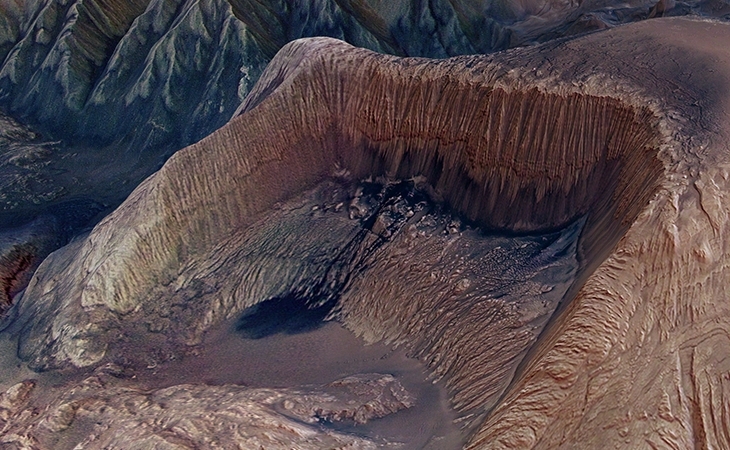 Perhaps this is another abandoned open-pit mining quarry on Mars. Abandoned open-pit mining quarry on Mars? 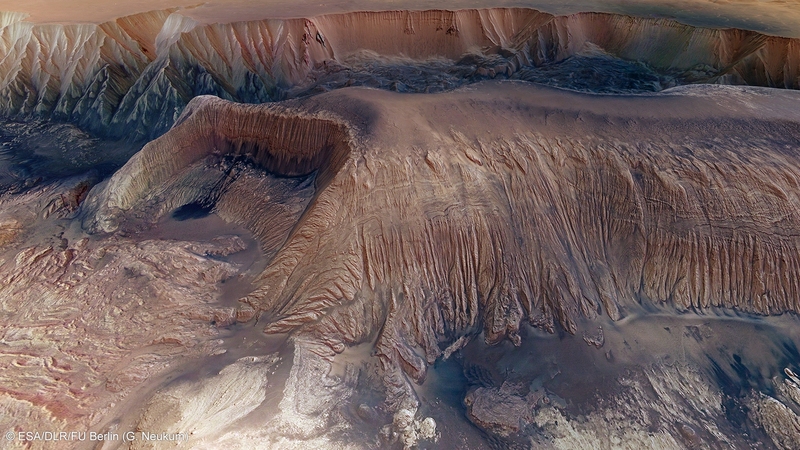 The Mars Express orbiter took this image (Id 297928) of what the European Space Agency (ESA) calls Hebes Chasma mesa, 23 km wide. 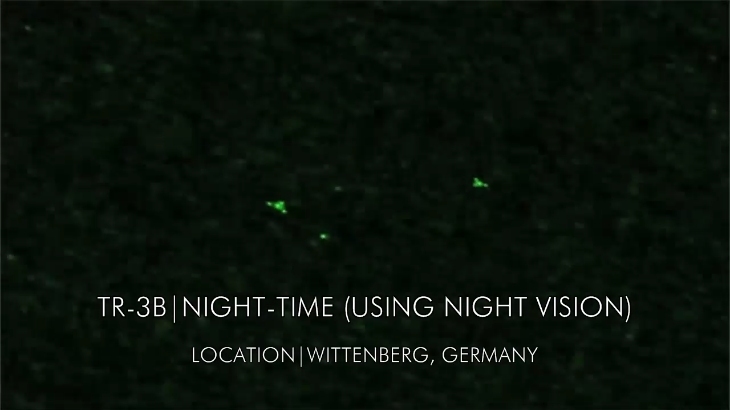 This anomaly was first brought to my attention by Thomas Mikey Jensen from the Mars Moon Space TV channel on YouTube. Substantial carbon deposits have been found which may explain the appearance of the black water in the pool at the bottom of the pit. The devastation to the mountain side is striking, at 23 km wide and 8 km deep this is unlike anything on Earth. 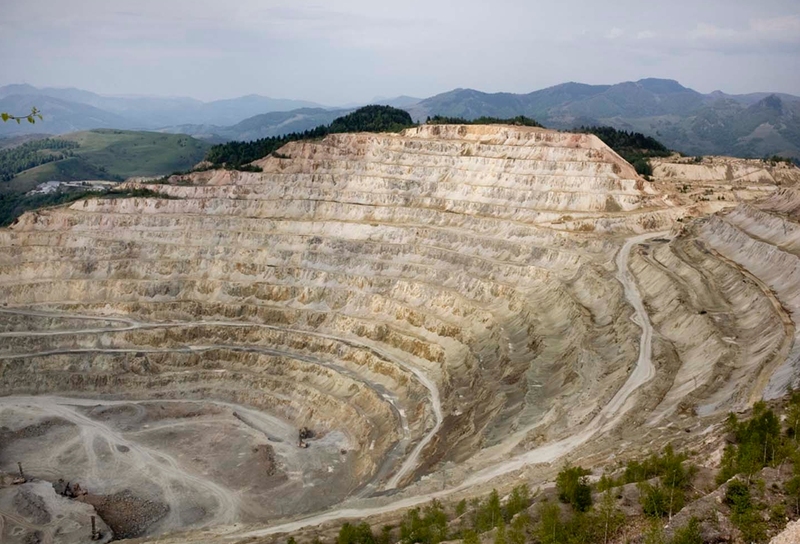 The layers or steps synonymous with similar mining operations on Earth are not seen probably due to the walls of the Quarry being eroded by water over time. 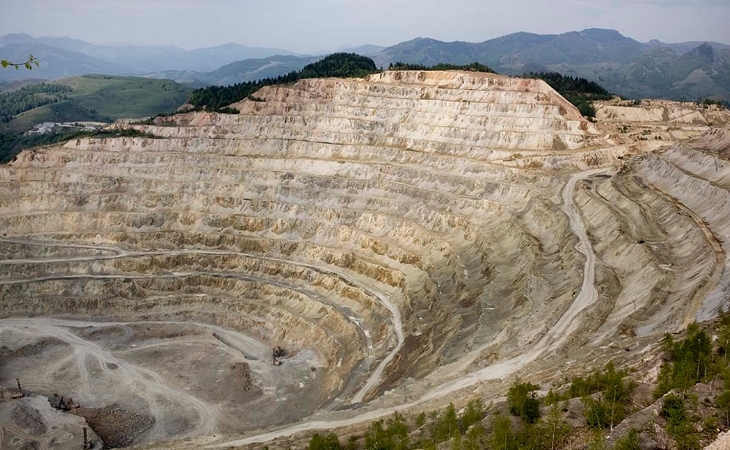 When compared to similar images on Earth one cannot help but wonder if this is an abandoned open-pit quarry on Mars. Could this be an abandoned mining operation on Mars, perhaps coal and/or other minerals were excavated here in the distant past? 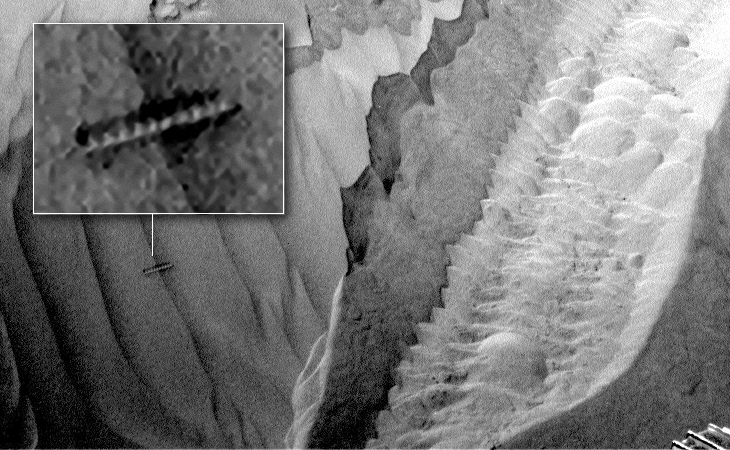 Worm or threaded artefact found in Martian sand? Taken by Navcam Left B on-board NASA’s Mars Curiosity rover on 29 January 2016 (Sol 1237), this image shows an object that looks either like a worm or some kind of threaded artefact like a screw or bolt. It appears the object was uncovered by the rover’s activity in the area. Taking into account the sense of scale given by the part of the rover that can be seen in the bottom right of the image the object appears to be rather small. Is this a sign of current life on Mars? Scientists are puzzled by a white rock with a dark red low spot in the middle that “just plain appeared at that spot” on the planet where the rover is situated, says Steve Squyres, lead scientist of the Mars Exploration Rover mission. 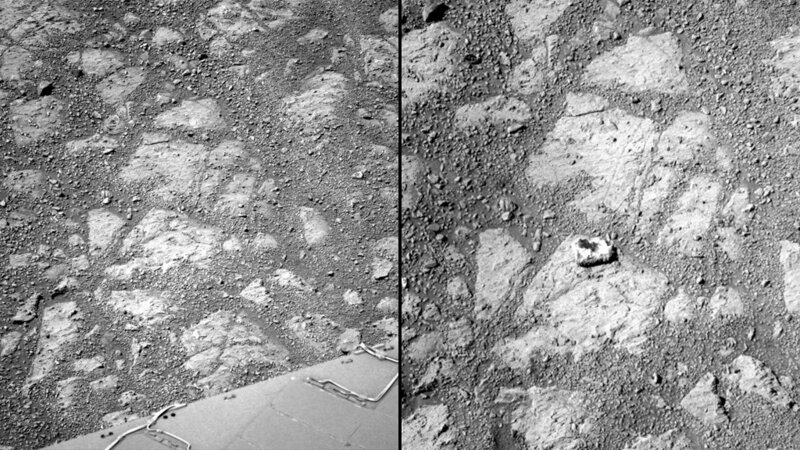 Two photographs taken by Opportunity 12 days apart showed only barren bedrock on mission day 3528 (in Mars time), however on day 3540, a photograph of the same area revealed a mysterious, doughnut-shaped rock (was not there before). Curious! In this presentation on UAMN TV, Dr. Michael Salla presenting via Skype at the NEXUS Conference, presents the most comprehensive history and summary of the Secret Space Program I’ve seen. The presentation entitled “The advanced secret space civilizations that broke away from Earth” covers the entire Secret Space Program from its origins in the 30’s to present day. 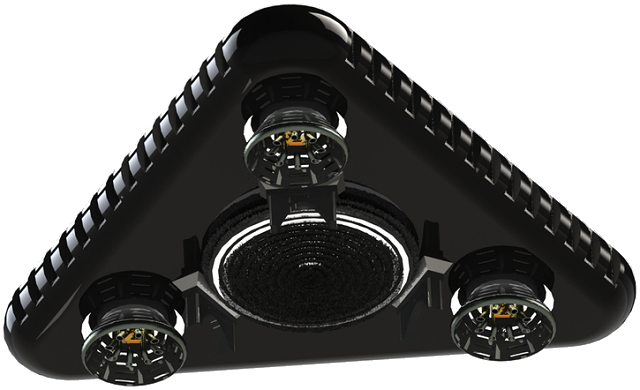 Reference is made to key documentation and whistle blower testimony that reveal the hidden development of antigravity spacecraft, the big picture of a parallel world of secret space programs and extra-terrestrial alliances. Dr. Michael Salla has now finally put all the pieces together. Has the TR-3B been to Mars? In this interview, Richard D Hall from Richplanet TV discusses TR-3B information leaked by whistle blower Edgar Fouche. 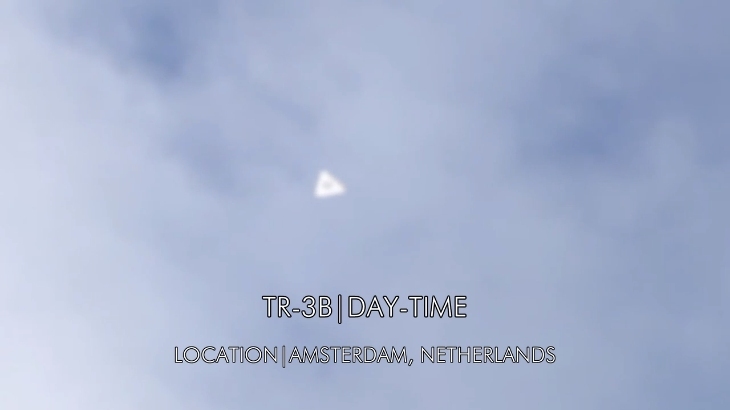 The TR-3B is also known as the massive flying triangle seen around the world. 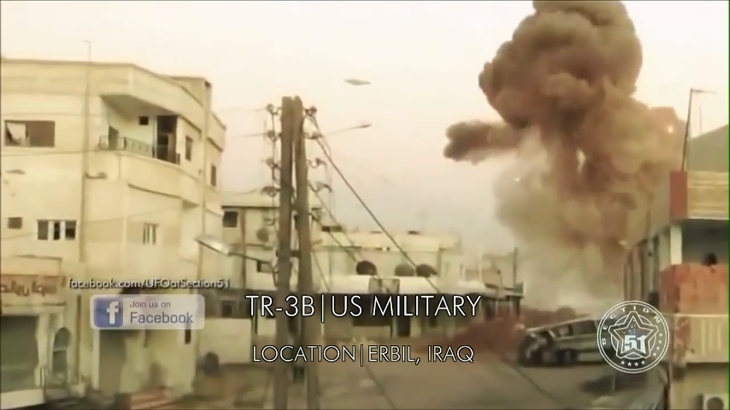 TR-3B’s are also known as space platforms due to their size. 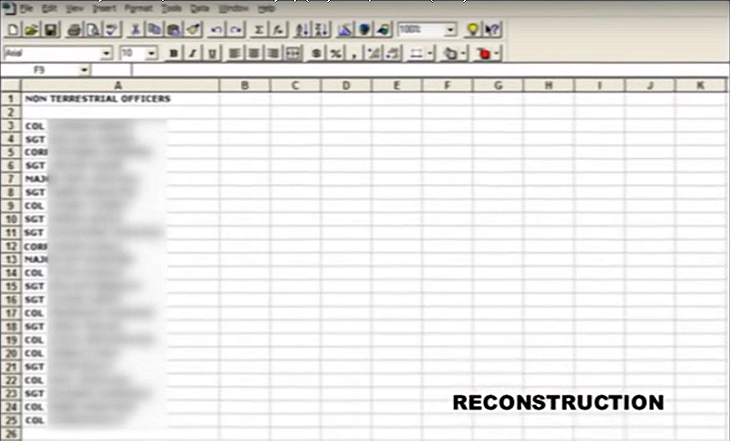 The information provided by Fouche confirms Gary McKinnon’s claim that he had seen a list of officer’s names under the heading “Non-Terrestrial Officers” and in particular the names of a fleet of craft listed as “USS …” in a document after he had hacked into state computers. Interestingly another of the whistle blowers in this discussion mentions the TR-3B has been to amongst other planets, Mars. 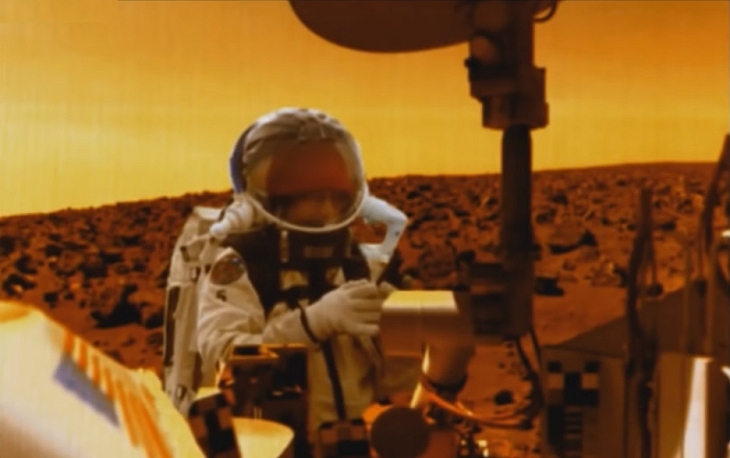 The photograph taken by the Curiosity Rover’s backward pointing camera showing what appears to be a humanoid figure working on the rover could well be one of these so called “Non-Terrestrial Officers” that arrived there in a TR-3B. I guess the antiquated technology NASA is using is part of the Secret Space Programme deception campaign. Who knows? The puzzle however is coming together nicely. In 2015 Richplanet TV interviewed world famous “hacker” Gary McKinnon. He discusses how he hacked into NASA computers as well as dozens of US Army, Navy, Air Force and Department of Defence computers. Who or what was standing next to the Curiosity rover, it does appear to be humanoid? Might these so called “Non-Terrestrial Officers” also be present on Mars? Towards the end of the interview he also talks about interesting artefacts on Mars. A team of US meteorite hunters from the ANSMET project discovered the first Mars meteorite known as Allan Hills 84001 (ALH84001) in Antarctica on 27 December 1984. On 6 August 1996, David McKay (working for NASA), published an article in which claims are made that the meteorite possibly contains evidence of traces of life from Mars. 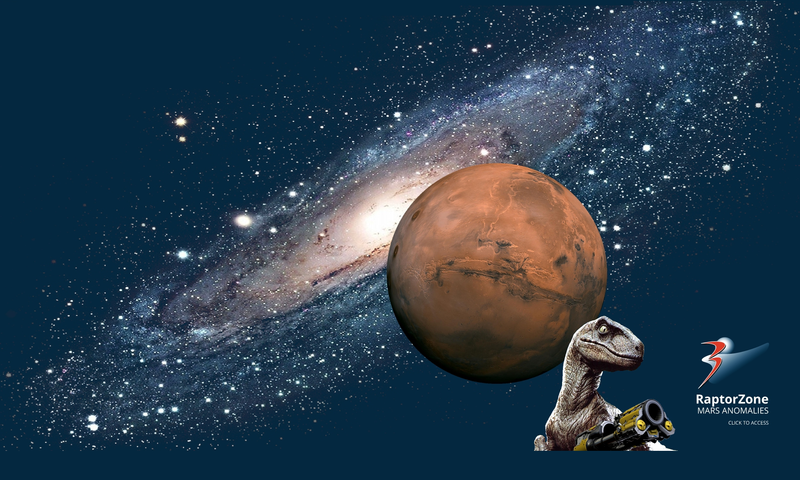 Many scientists dismissed the idea at the time, however recently discovered meteorites from Mars include various fossils of once living bacterium. 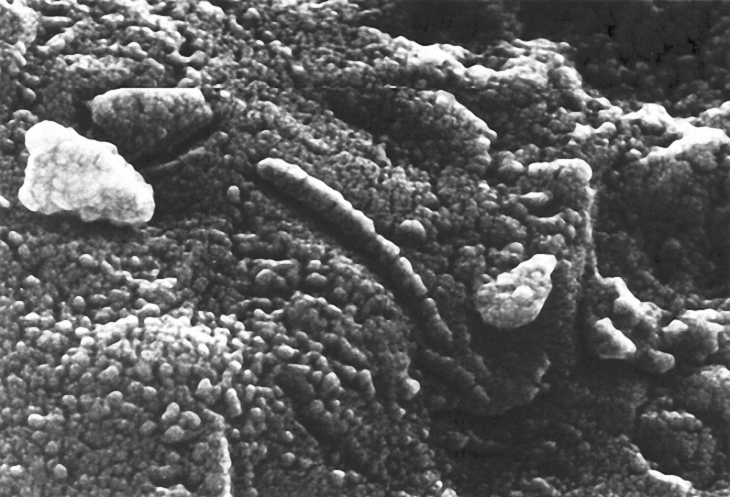 In November 2009 a team of scientists at Johnson Space Center, including David McKay, presented an argument that since their original paper was published further evidence of the presence of abundant fossil-like structures have been discovered in other Martian meteorites. 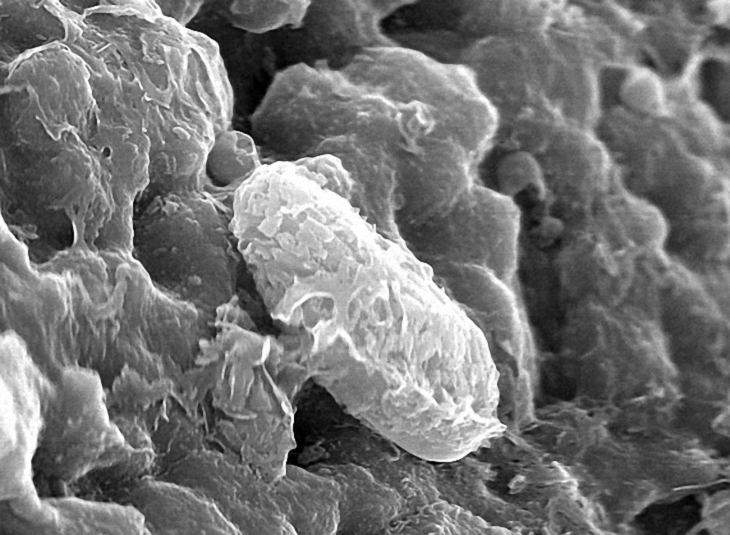 On 4 May 2010 at a NASA conference on astrobiology, David McKay presented new evidence that proposes the highlighted object in the photograph below is a biomorph, another fossil of a once-living bacterium found in a Mars meteorite. 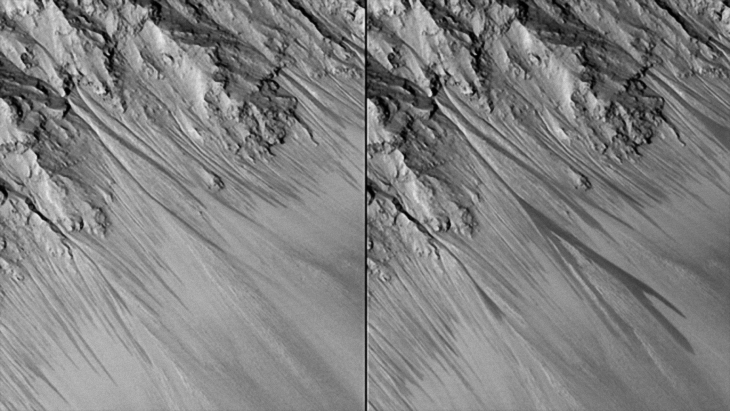 Surface photographs of Mars reveal that water flows on the planet’s surface at certain times in the year when conditions are right. Most scientists are of the opinion that where there’s water there’s a high likelihood of some sort of life, be it bacterium or the like. 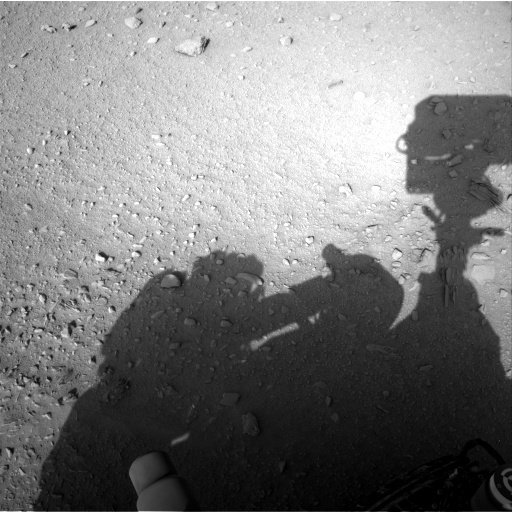 Then there’s the famous and controversial photograph taken by the Curiosity Rover backward pointing camera showing what appears to be a humanoid figure working on the rover. Why did NASA only release this one photograph? Surely more photographs of the humanoid figure exist. Are they holding back on the photographs that show the figure directly? Maybe they knew what or who it was working on the rover and did not want to reveal what or who it was? Are there humans on Mars, sent there decades ago in the 60’s and 70’s under the guise of the NASA manned Moon missions or recently under a classified Black Project/s? Was this photograph released purely by accident or was it released deliberately by someone at NASA wanting the truth to be revealed, perhaps being too scared to release further information? From February 2001 to March 2002 Gary McKinnon hacked into 16 NASA computers as well as dozens of US Army, Navy, Air Force and Department of Defence computers. He uncovered a list of officers’ names under the heading “Non-Terrestrial Officers.” Are these so called “Non-Terrestrial Officers” also present on Mars? Is it possible that there is actually microbial life on Mars, maybe even human and/or humanoid life? Evidence strongly suggests that there is. The TV documentary series Ancient Aliens, specifically Season 11 and the episode entitled “Destination Mars,” delves into this subject in detail. It also includes compelling photographs of various artefacts found on the planet’s surface. If you are interested in the UFO/Alien phenomenon I highly recommend you watch the series, specifically Season 11 and now the newly released Season 12 which delves more into contemporary subject matter and less into Ancient Alien Theory.